Texas won a legal battle last week allowing them to deny documents to immigrants' children born in the U.S.
Last Friday, a federal judge ruled that Texas officials can continue to deny U.S. birth certificates to the children of immigrants if their parents cannot supply required identification because they are undocumented. Judge Robert L. Pitman of the U.S. District Court for the Western District of Texas in San Antonio noted the families’ attorneys had indeed “provided evidence which raises grave concerns regarding the treatment of citizen children born to immigrant parents,” but the court needed more evidence of the harms they face before issuing the emergency injunction they requested upon being denied birth certificates for their children. Texas Attorney General Ken Paxton, recently indicted for securities fraud, said in a statement that this ruling was an "important first step in ensuring the integrity of birth certificates and personal identity information." "Before issuing any official documents, it's important for the state to have a way to accurately verify people are who they say they are through reliable identification mechanisms. We will continue defending DSHS's policy on safeguarding Texans' most sensitive information and vital documents." This argument is an effort at misdirection. Mr. Paxton, were he concerned solely with the matter of identity protection, would offer alternative solutions so that these American children could get their birth certificates. Without them, they cannot travel, be baptized, access health care nor school. 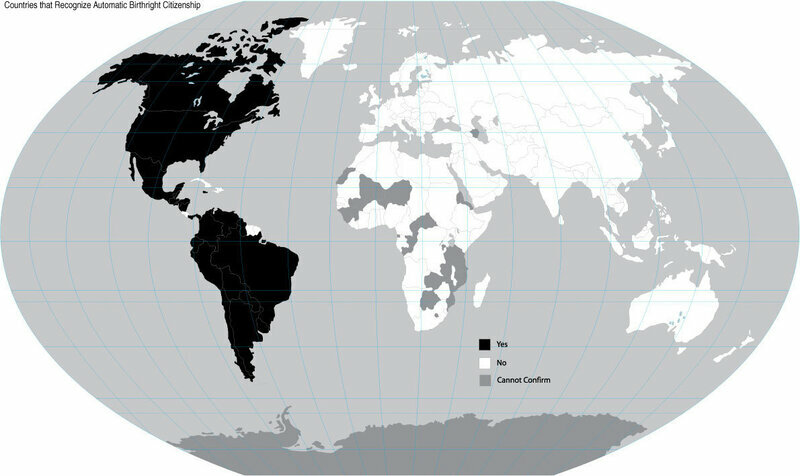 Children born in the United States are entitled by law to U.S. Citizenship, regardless of the immigration status of their parents. Despite this, Texas authorities have prevented undocumented parents from getting birth certificates for their U.S. born children. His ruling lets Texas officials refuse to accept identification cards issued by local Mexican consulates, called matricula consular cards, as a legitimate form of identification for undocumented parents. The question of birthright citizenship is a political hot-topic because of the conversation sparked by several Republican candidates for the Presidency. The Citizenship Clause of the Fourteenth Amendment to the United States Constitution states that "All persons born or naturalized in the United States, and subject to the jurisdiction thereof, are citizens of the United States and of the State wherein they reside." The amendment was ratified three years after the end of the Civil War in an effort to overturn the 1858 Dred Scott Decision, in which the U.S. Supreme Court ruled that Black slaves were not, nor could they ever become, U.S. citizens. So, now that the immigrants to the U.S. are not simply white Europeans, conservatives are quite literally up in arms — the Gun Owners of America (GOA) declared immigration a gun control issue. This is one manifestation of a potent demographic anxiety that many white Americans are suffering. Given that we (falsely) conflate power with population, this is unsurprising. One look at the wealth in the U.S can debunk any concern that the new minorities’ might have. The top 1 percent of the American population controls 35 percent of the nation's wealth. They are certainly in the quantitive minority, and are hardly an oppressed group. This demographic anxiety is evidenced by the disproportionate emphasis on issues like taxpayer funding of social services and health care, alongside gun control and immigration, is rooted in a fear of shifting numbers, and potentially, shifting power. Reality is much more complicated than that. With the cards are so heavily stacked in favor of racial inequity that demographic changes won’t automatically result in power changes. Though, one way to combat inequity is to challenge the unjust application of our laws through rulings like the one issued in Texas last week. The Constitution gives U.S. born children the right to a birth certificate, and it is criminal to deny it. Eesha Pandit is a writer and activist based in Houston, TX. You can follow her on twitter at @EeshaP, and find out more about her work ateeshapandit.com.